'Piano Glyphs' is being composed. How to Play the Piano in 88 Notes (a part of Piano Glyphs), poetry by Katharine Norman, piano by Philip Mead from Richard Hoadley on Vimeo. How to Play the Piano in 88 Notes is one of a number of pieces that together form the larger piece Piano Glyphs. 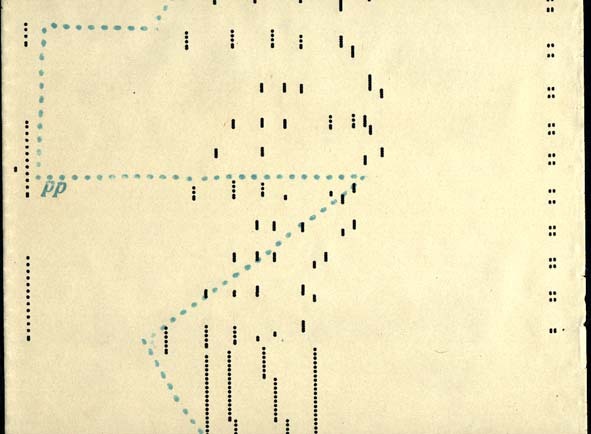 These pieces together investigate approaches to live notation and cross-domain expression. How to Play the Piano is a version of a passage originally from the dance-music-text piece 'Semaphore' by Richard Hoadley (music and programming), Jane Turner (choreography) and Philip Terry (poetry) (http://rhoadley.net/semaphore). It uses a live audio analysis of the reading of an original piece of poetry to generate audio and, in 88 Notes, live notation to be played simultaneously by a pianist. In the first part of the piece, the poem is algorithmically remodelled textually, graphically and aurally and orally. How to Play the Piano in 88 Notes is a new, original poem written and recorded specifically for this piece by the composer and writer Katharine Norman. 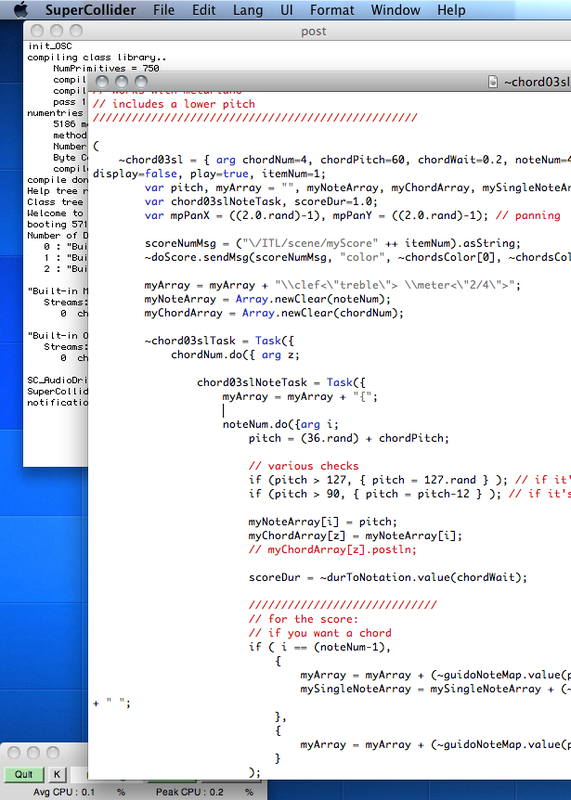 The music is created live through a combination of prepared programming (using SuperCollider) with elements of live coding. All material is produced and generated live. Live notation (including music, text and graphics) is dynamically created at the time of performance in response to algorithms, code, physical action or any other source of data. Features of my use of live notation include the exploitation of performers' instrumental virtuosity and learned response, the use of common practice notation, if required, to optimise virtuosity (while encouraging improvisation), the synchronisation of notation with live performance and physical action, and the investigation of novel forms of notation. The software used for live notation is called INScore (http://inscore.sourceforge.net).